More HBCUs throughout the United States are flirting with disaster and facing the danger of closing. The reasons are varied, including financial issues, rejected accreditation, inability to recover from natural disasters, mismanagement of funds, decreased private funds and declining enrollment. In the article, The Plight of HBCUs, the author indicates that HBCU graduation rates are declining, fewer students are choosing to attend HBCUs and fundraising has been a perennial issue. As HBCUs are undeniably a critical component to the education of minority students, there is an exceptional need to prevent the diminishing of HBCUs by highlighting the strengths and addressing the weaknesses of these institutions. HBCU administrators are continually brainstorming best practices to improve recruitment and retention at their institutions, which commonly include addressing strategic issues and being more intentional about recruitment strategies. In Three Things HBCUs Could Do to Survive and Succeed, many solutions to improving the student experience are discussed, such as offering evening and weekend classes, embracing nontraditional students in access and retention efforts, and working systematically with other colleges and community organizations. Although these solutions may prove to be effective, it is also important to consider the components that may make up the individual student experience and could be contributing to student attrition and retention but are considered less often. Some of these issues include broken air-conditioning, inaccessible Wifi, unresolved difficulties with registration, lost paperwork and unrepaired fixtures in residence halls. Enrollment management offices are responsible for assisting an institution in shaping enrollment and meeting the established goals of the institution alongside the efforts of senior-level administration in strategically solving problems affecting the university. However, administration may overlook the collection of issues that may lead students to attrition, transferring from an HBCU to a predominantly White institution (PWI), community college or giving up higher education altogether for each individual student. It is possible that it may not only be issues related to financial aid, academic advising or academic affairs, but rather the collection of poor experiences that, together, frustrate students to the point of withdrawing from the institution. Research conducted by Gallup indicates that HBCU students overall are satisfied with their experience and receive emotional support and mentorship from faculty that is often not present at other institution types. In the essay titled How to make top-heavy historically Black colleges better; more nimble, the author discusses the ways in which HBCU students can be sensitive to the kinds of issues experienced at their schools. Because HBCU students are very often low-income, first-generation students, they may face challenges related to external stress that do not affect other students. These stressors commonly include being responsible for financially and emotionally supporting family back home, while still maintaining the demands related to their student responsibilities. When students are functioning under such severe stress, sometimes it may be something as simple as not having adequate access to Wifi to complete their homework, faculty and staff not being available when promised, or not having access to basic necessities at the institution that influences their decisions to leave the institution. Students who have positive experiences and are engaged at the university are often more likely to persist to graduation. While administration is working diligently to resolve issues related to the longstanding decreased enrollment, which is forcing the closure of many HBCUs, thought toward solving the issues that are perceived as less significant to the student experience could be beneficial. These experiences may be neglected from critical conversations among upper-level administration because such issues are rarely brought to their attention, as upper administrators do not live on campus and are unaware of the challenges related to campus living and dining. To ensure that these challenges are considered in conversations around policy and universitywide changes, administration should create new student affairs positions that allow professionals to brainstorm and address the smaller challenges that, over time, may lead to the dissatisfaction of students and decreased institutional enrollment. Retention at HBCUs can also be improved through forming task forces or committees made up of people who work directly with students and bringing students to the table who can articulate their concerns in their own words and assist in addressing these challenges. In rescuing the future of student outcomes and retention at HBCUs, considering the combination of challenging student experiences in addition to the typical factors that contribute to attrition is a component that is often neglected from conversation. That should not be the case because it could ultimately lead to the improvement of the overall student experience and student outcomes at HBCUs. And, if that happens, it could stave off the wolves at the door of some of these vitally important universities. 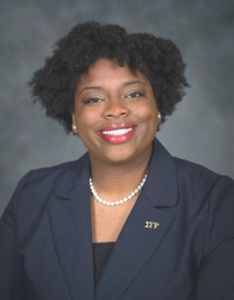 Megan Covington is a second-year master’s student in the Higher Education Student Affairs program at Western Carolina University. She currently serves as the graduate research assistant to Western Carolina University’s distinguished professor of educational leadership. 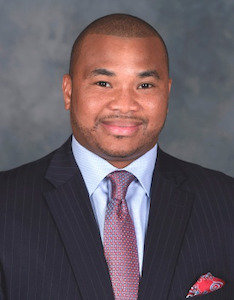 Dr. Adriel A. Hilton most recently worked as chief of staff and executive assistant to the president at Grambling State University where he served as senior advisor to the president. He previously served as an assistant professor and director of the Higher Education Student Affairs program at Western Carolina University.